Recently (23/11/17), DRSA was contacted by Julian Nott of Santa Barbara, California. Julian's great grandfather, Robert Nott, was Chief Accountant of the Bristol and Exeter Railway. Robert's B&ER watchchain fob and railway pass, picture below, are still in Julian's possession. Robert's father, William Nott, farmed at North Tawton. The family still holds some of his document and letters. Family history says that William, the farmer, and his son, the accountant, became rich because they sold land to the railway. Below is a painting of William, and a photograph of Robert. Julian's life, too, is full of interest, as can be seen from his website www.nott.com. 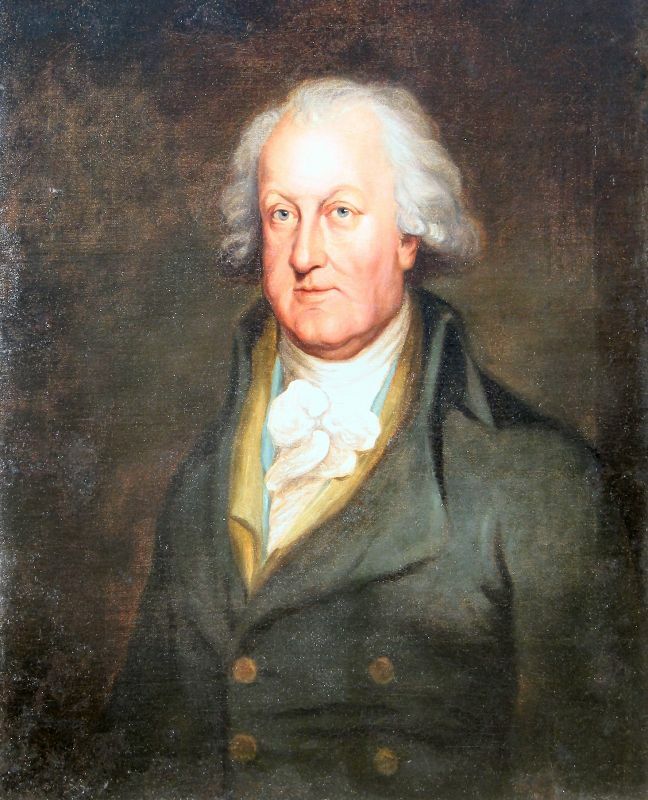 William Nott, farmer at North Tawton who sold land to the railway. Robert Nott, Chief Accountant of the Bristol and Exeter Railway, who subsequently worked for GWR. 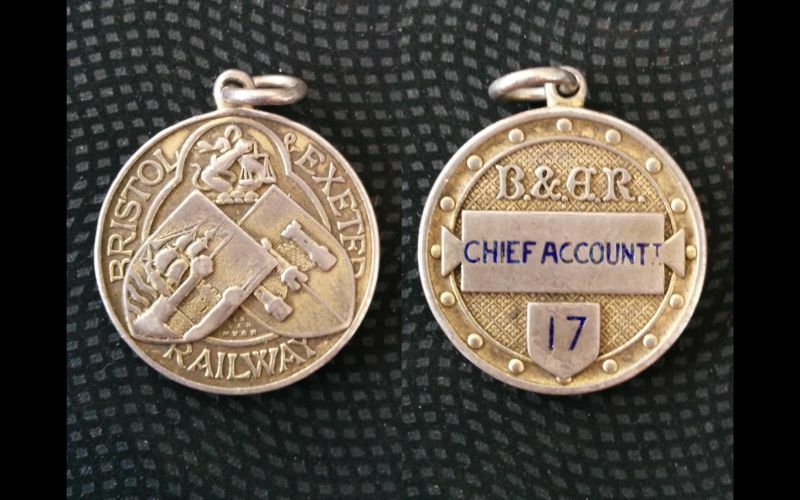 Robert Nott's B&ER watchchain fob and railway pass. Robert Nott's entry in the GWR clerical register. 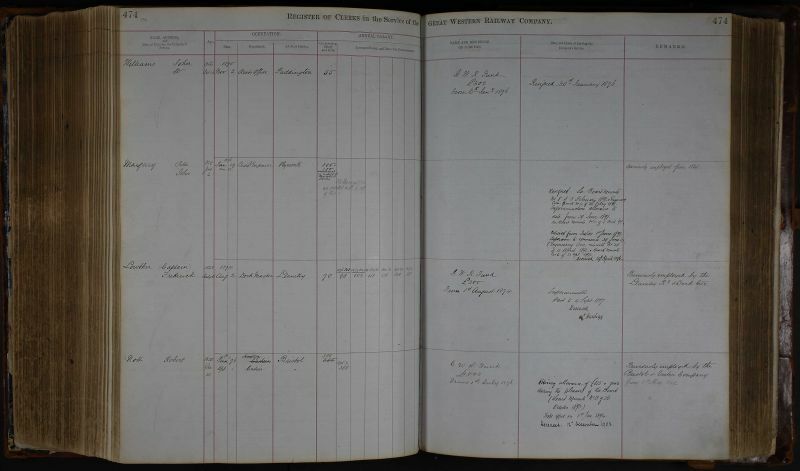 Robert Nott's entry in the GWR register of clerks (above, bottom row), shows he was based at Bristol and started in January 1876 on a salary of £500 pa, having previously worked for the Bristol and Exeter Railway from May 1st 1849. He retired in January 1894 on £125 pa. He was born on Dec 21st 1820 and died on Dec 12th 1903.